Call Us at (863)333-0913 to Ask About Our Inventory! 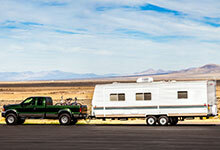 Fifth wheel trailers are popular with RV enthusiasts, because it tows more securely than a traditional travel trailer. Browse our quality pre-owned 5th wheel RV’s here! Pull behind travel trailers provide the luxury for your to have your own home on wheels, taking you on a journey or a vacation, hitch your pull behind travel trailer anywhere! Popup RV’s give you a large amount of interior space for its size once collapsed. 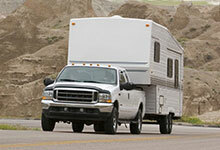 It’s an affordable option that is also great for beginners because it’s an easier tow. We repair and sell all three types of classes. Class A’s (Integrated), Class B’s (Semi-integrated), and Class C’s (Alcove). Enjoy your home away from home on your trip! Save $1000's on your next RV purchase! Thanks for stopping by Lakeshore RV Sales. We are a family owned and operated Central Florida company that has been doing everything RV related for over 35 years! Are you planning the perfect getaway for you and your family? Looking to go camping in Florida or take a road trip through the USA? 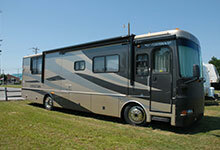 At Lakeshore RV Sales, we will get your RV looking and driving it’s best, while saving you thousands. Make your first stop at Lakeshore RV Sales, located at 3404 US Highway 92 E, Lakeland, FL 33801. Do you have an old RV in the backyard just collecting dust? Do you need to get some mechanical or cosmetic work done on your motorhome? We can build and repair all engine types, and beautify any RV kitchen with modern appliances and decor. 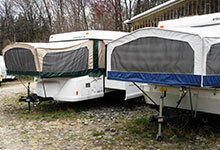 We have professional RV service consultants ready to serve you at our Lakeland location 5 days a week. Call us at 863-333-0913.